In the Yomiuri newspaper recently there was an article about twins Haruka and Moe Kyuma. They are both great runners. They were members of the Tsukuba University women’s team that was third at the 2012 All-Japan Women’s College Ekiden Championship in October 2012. 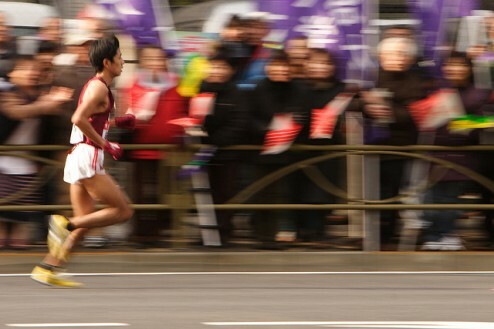 And in the 2012 men’s Hakone Ekiden twins Yuta and Keita Shitara both ran for Toyo University. In Japanese you don’t say my brother or my sister. You always put it in context. My younger brother or my younger sister. If you are watching a movie in English and one of the characters talks about a brother or sister without specifying older or younger the subtitle translator just guesses. How Gratitude Can Improve Your Life – Yahoo! News. I wrote about thanks a little while ago. Simple, short introduction to samurai.